NextInterview: Whitney Tai and her dream pop world. 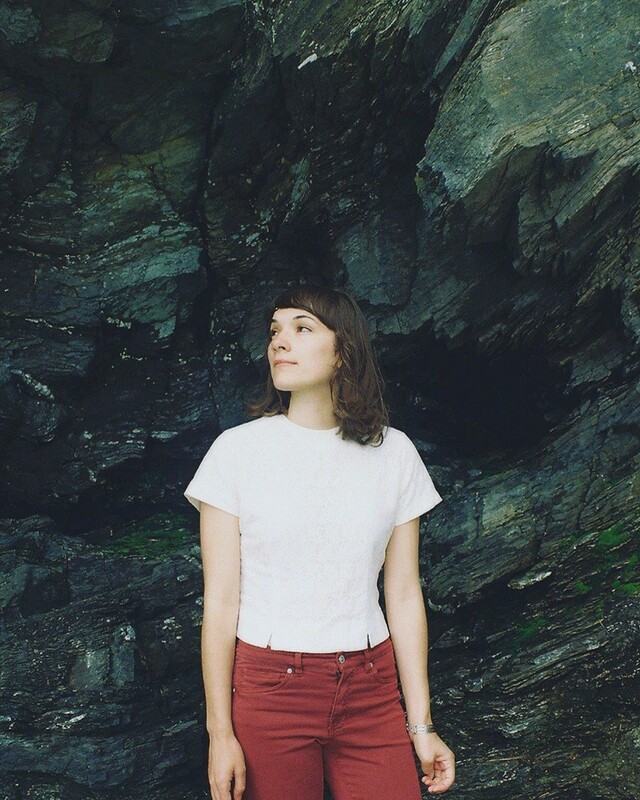 Earlier this year a friend reached out to me suggesting I should listen to the ‘world-weary’ album Momentary Glance by Lisa/Liza, the indie psych-folk recording project of Maine-based guitarist, singer and songwriter Liza Victoria. So I did. In truth, I’m still listening and cannot drag myself away from it. I guess what makes Liza Victoria special is how she makes you feel, especially in her unhurried, atmospheric and emotive approach to music. It’s arguably these qualities (and many more) that serves as proof of her growing significance in folk circles. Moreover what makes Liza Victoria interesting as a musician is her ability to inject new sounds to her DIY folky vibe. For instance, sonically speaking, the inclusion of electric guitars, especially its reverb effects on Momentary Glance is music to my ears and anyone else who cares to listen to her unabashed brilliance. That said, if I had to single out one track for its daring scope it would be The Matador Pt 2. Furthermore, when I realised that this album was made in the most difficult of circumstances for Liza, during the days and weeks following the loss of her dearest friend to suicide, my admiration for Liza grew exponentially. How painful or un-centred her life must have felt during this time is something that is no one can truly comprehend. But I can only imagine that the power of music and the kindness of those around her kept her moving forward. Personally, I am glad she decided to share with the world her music and especially herself along the way. With that in mind, I reached out to Liza in Portland, Maine, in an attempt to discover a little more about her and to chat about her about latest release Momentary Glance. Here is some of what we talked about. Can you tell us Liza something about the artists that inspired you to become a musician? I think a lot of things accumulated to inspire me at a young age but I think it really clicked in highschool. One of my best friend’s families was very into music and that definitely set the spark going, when I got to see how much it changed and influenced their lives in a positive way. I had a lot of encouragement also at my highschool by a very talented teacher which was a rare opportunity when I look back. I think he inspired most of the people around him to get more excited about music, we got to do things like watch Bjork documentaries, and he gave us a lot of room to present to him what we felt was important to us as well. My twin brother and my older sister also inspired me and helped me get out of my shell, they are both naturally gifted and sometimes we would sing together, and we definitely would just share a lot of music that we liked with one another, which was very supportive. I think the first stuff that really interested me was folk music because it seemed to break the rules in contrast to what I heard on the radio, and I felt inspired by the emotional language of it. I really loved Bob Dylan and the Beatles, Paul McCartney, Simon and Garfunkel and stuff that made you slow down and listen, it was just the first stuff I heard that was like that I guess. I still like them now, I’ve been listening to a lot of Bob Dylan recently. I am drawn time and time again to musicians who use songwriting as a form of cathartic release. As a songwriter does it help you to work through things by writing about them? Yes, totally. I tend to feel better when I write, sometimes almost immediately after a song is completed, it feels very calming. But yes I think there’s something for lack of a better word, that is “magical” about the process of transforming a heavy feeling into an action such as music. I think it’s very meditative, because I don’t often know how I’m feeling until the song is written, and it is making a difficult feeling feel lighter and feel like it’s okay to share , and to speak about. Or maybe, a feeling I don’t understand is sometimes brought out to the surface, and that can be helpful too, for example it might be like , oh I was feeling a sense of helplessness in this relationship I was writing about that I never realized, or I was feeling a sense of hope, during this or that time,even though I thought I wasn’t, and maybe realizing those moods can be helpful to my overall emotional awareness. Your vocals are very emotive and if I can add very calculated for effect on your latest album. You never seem in a rush to breeze through the lyrics on Momentary Glance. Every word, every syllable and every pause has real purpose. Is that a fair assessment? Thank you, I don’t know if it’s a fair assessment, I think I try to play and sing with intention, and It is a nice complement to hear that it comes across. I recently read that Momentary Glance had been described as world-weary. Would you agree? How else would you describe it? I think I was definitely world-weary when I recorded this album, the songs weren’t written with that intention but I suppose it’s possible that the emotive aspect of the album would feel world-weary to someone listening. I felt a sense of hopelessness at that time that I can’t really describe, maybe ever. The making of your album was set against the tinge of immense sadness. And I say this with all due respect, is there anything you would take back from that experience? I think the difficult thing about my experience, and for others who have experienced similar things, is to know and accept that nothing could ever be changed. And that is very, very difficult. Apart from the obvious electric guitar components to your new album, how else are these new songs on Momentary Glance different to those say compared to Desert Of Youth? I think Desert’s of Youth was unique because it was me alone, it felt very inside my head. This one felt more outside of me I guess. This album is unique because it is a group of people bringing out other aspects they hear in the music. I can’t speak for them, but I felt when I played with them that we were going through the songs together on a musical level, but perhaps in some way, I have to thank them because I think they also really tried to be intuitive of the emotion of the songs and play to that feeling as well. I think also just taking my music out of context of my room, and so far as Montreal, really changed the feeling and vibe. I felt inspired by the city, absolutely, and by the novelty of the experience of having Efrim record us in a real studio. It made it all feel more real, and I’m really thankful we were allowed to play in that space, and for Efrim’s time, it feels like it was really the right place. If you had to pick one song from Momentary Glance as your favourite, which one would it be? And why? Black Pines is definitely my favorite song. I think it’s the most co-written song instrumentally and vibe wise, I was very inspired by the bands input in that song. I think it feels the most contemporary as to what I was feeling when we recorded the album, where the other songs have a little more emotional distance. It was also just the most fun to play in the studio as a band. What can you tell me about Portland’s music community? How supportive are musicians of each others work? The Portland music community is an absolute gem , I feel very lucky and blessed for the people who come out to see my shows there and who have supported me by listening to my records, and even like literally distributing them, or helping me get things heard. I feel when I visit other cities on tour like we have something here that is very sincere. It’s helped me more than I can express, the support and love I’ve received from the local scene, and really greater Maine as well, I am really overwhelmed to have on this music journey with me. I understand you used to get a little anxious playing shows in your early days. Does that still happen? How have you overcome your social anxieties? I still get anxious, before shows for sure. I don’t think I’ve overcome that at all but I think since time has passed and I work at it often I’ve come up with a few more tricks to make it feel like it’s okay to feel anxious, and maybe the support I’ve received helps me feel more at ease too, and honestly, just the amount of times that I’ve played shows, has increased a lot, and that sometimes can help.But I can’t honestly say that the performance anxiety has improved so much as I’ve normalized it. Finally before we go, are there any further plans on touring this year with your backing band? And what do you enjoy most about playing shows in general? I don’t currently have plans, that could change. I have a couple of touring options in the works that I’m excited about for small runs. I love a lot about playing shows, I think the best thing about playing shows is who you meet and the sense of community and connection that you receive both while playing and talking to people afterwards, also seeing other people perform night after night has changed my sense of music and it feels great to listen to so much great music so often, and to feel like, a part of all that you know? To be able to hear so much music of all different styles and all over the country, jeez it feels really nice. I’ve made a lot of dear friends on tour and at shows, that are invaluable, and I’m really glad for that. 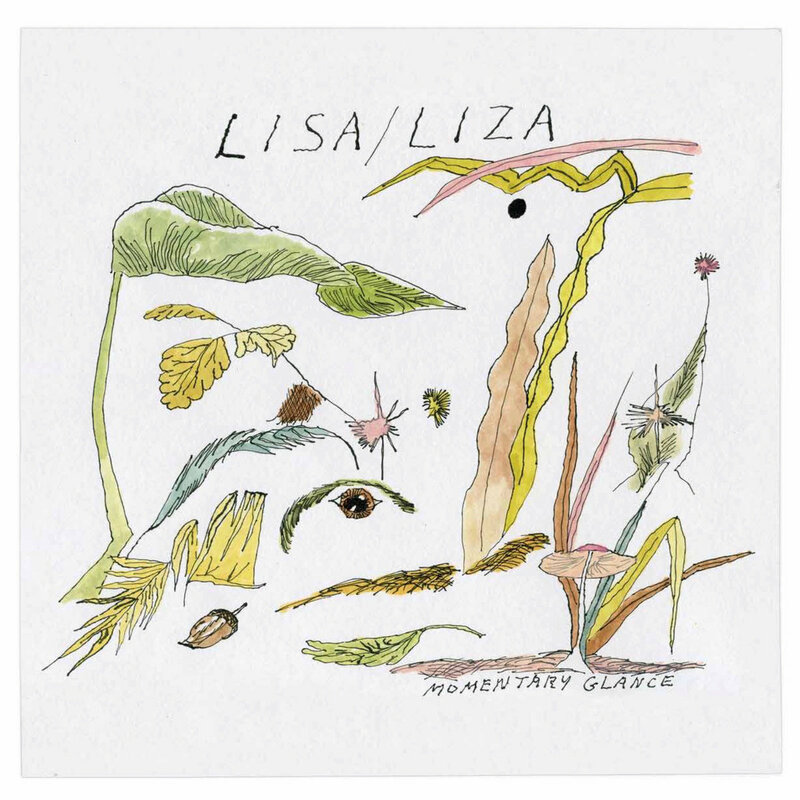 Lisa/Liza’s latest release Momentary Glance is available through Orindal Records. You can also check it out on Bandcamp | Spotify | iTunes | Soundcloud. For more on Lisa/Liza, including tour and music updates, follow her on Facebook and Twitter. Photo credits: All images used are courtesy of Liza Victoria with thanks to photographers Philip Andresen for the header image and Brian Doody for the white t-shirt portrait of Liza.